Telling the time for geeks! Finally, a clock exclusively for geeks! 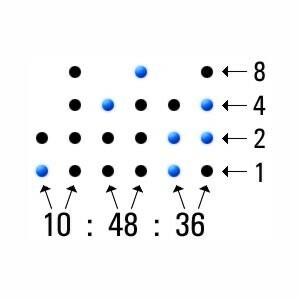 There are just 10 types of people in the world: those who can read binary and those who cannot... Are you a member of the former group? You must be a geek! Geeks want to challenge themselves all day, every day! Telling the time is so normal. You've been able to do that since you were old enough to walk. Right? 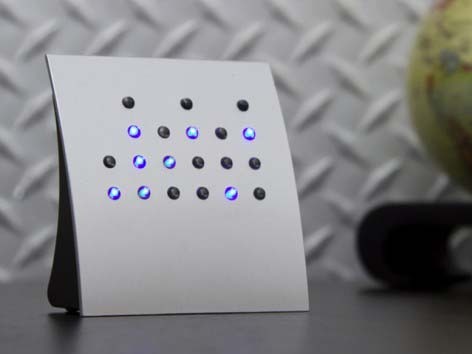 The Binary clock is a major game changer when it comes to telling the time. Can you decode the clock? A real geek will have this clock figured out in no time! All it takes is a bit of practice. Like most things really! This clock uses a BCD code. That's a binary code which runs to ten. 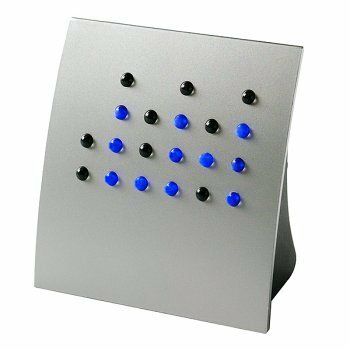 Each number on the clock is translated into its own individual binary code equivalent. Hours of time consuming fun!